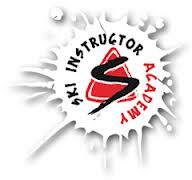 You can use this forum to ask questions regarding Ski and Snowboard Instructor Courses with Ski Instructor Academy in Austria. SIA offer a wide range of courses for all abilities and pride ourselves on our Job Guarantee, allowing you to train and work for the full season in Austria with a paid instructor job. Will hopefully be in touch with you soon, wanting to do the dual Anwarter for next Winter. My brother also went on an EA internship where he got training and a guaranteed job. It was in Verbier and sounded awesome. I'm enquiring about this program of ski instructor with a job guarantee. I live in South Africa and would love the opportunity to work at a ski resort. Where would I have to begin and what do I do in terms of application? Have a look at the courses on offer and we can try and narrow it down, or there is a live chat on the site which may make it easier to navigate with the help of one of our team.